In the 5-6th episodes of The Flame’s Daughter Chinese Drama, Lie Ruge cancels she and Zhan Feng’s marriage after knowing he doesn’t love her at all. Yin Xue takes her leaving flame house, but Yan Niang tells Yu Zihan that Yin Xue is a monster who lived over 100 years. Lie Ruge blocks Ying Yi’s way and asks why she frames her, Ying Yi accepts she has martial art and thinks Lie Ruge is smarter than her imagination. Lie Ruge is unexpected that Ying Yi is so dark and thinks her to help her know Zhan Feng’s real face. Ying Yi hates Lie Ruge as she is the host of maple house if Lie Ruge isn’t Lie Mingjing’s daughter. Lie Ruge decides to give Ying Yi a gift and gives her a slap, asking what her feeling. Ying Yi has to lie on ground and touch her face, because the maids are looking at her. Yin Xue becomes weak because of cold gas and want to attend the dinner of flame house to protect Lie Ruge. She is scared and asks him if she should attend. He takes her bowl and drinks it and thinks others will suspect their relationship when she wants to stop her. Lie Mingjing announces that he is going to marry his daughter to Zhan Feng at Double Ninth Festival, Zhan Feng rejects it. Lie Ruge says that she doesn’t like Zhan Feng anymore before Lie Mingjing gets angry. Yin Xue tells everyone that Lie Ruge falls on him. Lie Mingjing thinks she shouldn’t help Zhan Feng, Lie Ruge tells her father that she just helps herself. Yi Lang wants to remove Zhan Feng’s martial art and drive him away as he rejected teacher’s offer, Lie Ruge lets him treat her instead of Zhan Feng. Yin Xue thinks it was just father and daughter and she didn’t break flame house’s rule. Lie Ruge visits maple house with gift Zhan Feng sent to her and asks him if he loved her, he doesn’t reply her and thinks she shouldn’t return. She gives the gift to him and claims they are stranger from now on, he opens the box and find the lotus flowers which he planted. Die Yi and Xun Yi tell Lie Ruge that Yin Xue prepare stuffs of Double Ninth Festival for her, he lets her taste the cayenne pepper which he made for her after she visits his house. Yin Xue willfully lets Lei Jinghong blow the pepper on Dao Liexiang’s face. Dao Liexiang asks Die Yi and Xun Yi about Lei Jinghong’s younger sister, and takes them to see him. Although Die Yi fits the condition of his younger sister, she doesn’t have birthmark on her left ear. Zhan Feng gets angry and doesn’t allow to celebrate Double Ninth Festival at maple house when Ji Jinglei is setting up. Dao Liexiang asks Lei Jinghong why he didn’t recognize Die Yi as his younger sister, he reveals he wants to protect her. Yin Xue shows flame to Lie Ruge and thinks it’s beautiful but evil when she asks him. Feng Xixi sees Huang Zong off and asks him when Yu Zihan will return, Huang Zong calms her down and reveals he will come within a few days. She gives him the snack which she made yesterday. Yu Zihan visits Lie Mingjing and persuades him to protect himself after he received a letter. Lie Ruge visits Yu Zihan with chrysanthemums she picked from mountain after knowing he is going to leave, he lets her take care of herself and tells her he is her senior no matter where he is. She worries about he will be bullied after he goes home and gives wind chimes to him. Prince Jing Xian visits Feng Xixi who is shocked after seeing him, Phoenix worries Feng Xixi when hearing voice which comes from her room. Lie Mingjing wants to give flame token to Lie Ruge, but she thinks her father is too rash. 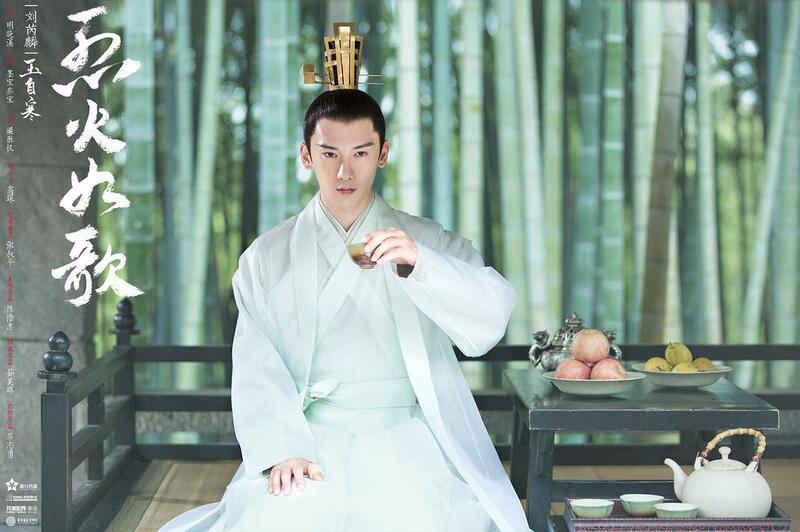 Dao Wuxia gives ice lamp to Prince Jing Xian and tells him that Yu Zihan will get sick if he keeps it. Yu Zihan gets angry after knowing Prince Jing Xian killed Feng Xixi and lets Huang Zong investigate it. Lie Ruge decides to leave flame house and begins to improve her cooking skill after knowing his father wants her to be the master of flame house. Yin Xue accepts to help Lie Ruge leave flame house but he wants to leave with her. He visited Lie Mingjing who let him take his daughter to immortal realm before leaving. 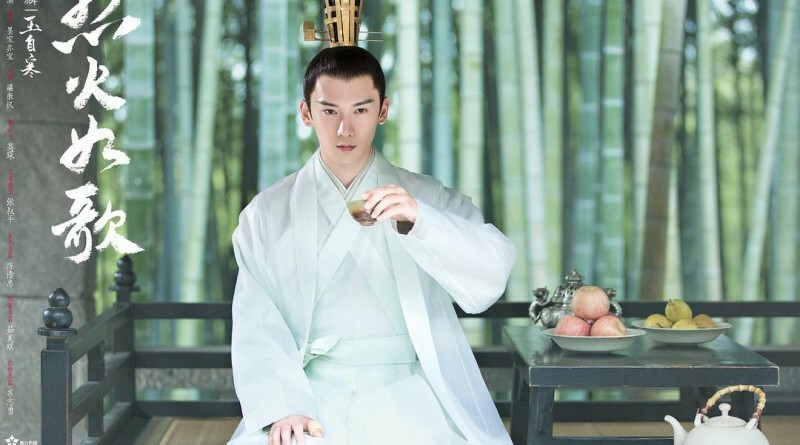 Emperor gives ice lamp to Yu Zihan and sends the doctor Yan Niang to treat his broken ears, Prince Jing Xian warns Yu Zihan not to investigate his case. Yu Zihan asks Yan Niang why she has to hunt Yin Xue, she tells him that Yin Xue is a monster who lived over 100 years. Yu Zihan lets Huang Zong protect Lie Ruge even if he doesn’t believe what she said. Yu Zihan can hear the voice which comes from wind chimes after the treatment from Yan Niang. He promises to keep the fame of thunder sect as long as they don’t hurt citizens.